It’s been a long time (I was surprised how long!) since I’ve answered questions, so I figured it was about time! These are questions you asked in June, July, and August (whew!). Just a reminder, I don’t answer all questions, and any comments or questions regarding new products or images, I pass on to the appropriate department. If you do have a new product or stamp set image suggestion, you may want to send that suggestion straight to the appropriate department yourself. Since you can see I take quite a while to get to these questions, it’s probably much quicker for you to go that route—plus you know it’s being seen! You can do that by going to the Demonstrator Web Site>Contact Us>Suggestion Box, then scrolling down to the Stamp Set or Product link. What happens to stamp sets that are not sold? For the most part, we “build on demand,” or manufacture stamp sets as they are needed. Because we manufacture the sets ourselves, we’re able to stay on top of the inventory pretty well most of the time. That means that there aren’t a lot of retired stamp sets left over. On those occasions when there are, we sell the leftover stamp sets to employees or, depending on the quantity, disassemble them, dispose of the rubber, and restock the blocks and playcon boxes for future use. Every time I load stuff on my cart, it gets dumped within a few minutes. Some sites keep your carts for days at a time. Is this something you can change? I turned this one over to our IT gurus, who had the following answer: In an effort to provide the safest online experience possible, we have implemented a timeout of approximately 30 minutes for inactivity across all secured sessions (30 minutes is approximate and some users may experience slightly longer or shorter times). These timeouts occur on the online store, the Online IDA, the demonstrator website, and other secure locations on stampinup.com. I smiled when I read this one because you don’t see all the photos we take! We are a camera happy family—we take A LOT of photos. And you see only the ones that are “allowable.” It’s not uncommon for one of the kids to see a photo, grimace, and say, “You’re not putting THAT on the blog, are you?” So suffice it to say that there are photos that I reserve for my personal scrapbook (which I will someday get to!). Please repost Sara’s Texas sheet cake recipe. Here you go! Happy eating! Note: I got this recipe from my mother-in-law. It is a Douglass family birthday tradition (and any other time I feel like chocolate). All of the daughter-in-laws have the recipe and all of our cakes turn out a little differently, don't ask me why. So I'll try to be as detailed as possible. Grease (Crisco) and flour a sheetcake pan (my sheetcake pan is 12"x16"x1"), set aside. I whisk this until it comes to a slight boil, and then pour into mixer with the dry ingredients. Mix well. At this point I turn my oven on to 350. When my MIL told me how to make it, she said not to preheat; just turn the oven on right before you put the cake in. I'm a rebel, so I turn it on sooner. Mix well on high for a couple minutes and then pour into sheetcake pan. Note: Make this while the cake is baking, because you need to pour it on right after the cake comes out of the oven. This time, DON'T boil. Just melt everything together until smooth on low heat. Add to mixer. This is key (at least for me because I don't want my frosting to be too runny or too thick): when the frosting is done, I can dip my finger in, lift up, and it starts to run, but only a little. If it looks like a dangling icesicle, it's perfect. Also, if it's too thick you can add a little milk to thin it out. What is your favorite herbal tea? Do you have your own blend? I do have an herbal tea that I love (and I only drink herbal tea). I order it by the case because I can’t seem to find it in any store. It’s Choice Organic Tea, and I love the Licorice Peppermint flavor. You don’t have to sweeten it at all (some teas are so bitter that you can’t gag them down unless you add a little something), but this one is just right—my favorite tea of all time! What do you personally do with retired items? Do you continue to use them or do you pass them on somewhere? Do you ever use products that are not Stampin’ Up!? My goal is to show—and use—what we currently sell. I do maintain an archive that contains one set of all the sets we’ve done, but I rarely use any of them. In fact, every time we have a new catalog come out, someone (my daughter, assistant, me, whoever) goes through my stamp studio and takes out all the old stuff and restocks it with current inventory. It’s hard to get everything, and there have been a few times when I’ve slipped up and used something that was retired, but I work hard to make sure that doesn’t happen. I do occasionally use products that are not offered by Stampin’ Up!—usually noncompetitive product. I researched Clearsnap and was surprised to find that they sell products that compete with Stampin’ Up! How can you own two companies that sell competing products? 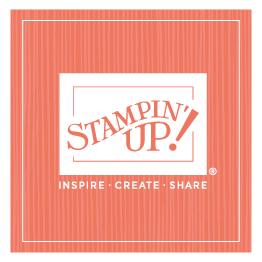 When Sterling and I were considering purchasing Clearsnap, we were interested in acquiring a manufacturing company that provided the capabilities for Stampin’ Up! to bring to market innovative, exclusive products much more quickly than Stampin’ Up! could do alone. Clearsnap is a smaller, more nimble company that allows Stampin’ Up! to explore some exciting options going forward. This relationship benefits Stampin’ Up! as a whole, which of course means it benefits our demonstrators’ businesses as well. Someone also asked if I own EK Success. Not sure where that rumor started, but I don’t. . .
Dad is doing fabulously, and thanks for asking. He has a revamped wardrobe—he’s a Velcro man now! His wife and a daughter-in-law have sewn Velcro on his shirt and pants so he can dress himself. They also took the buttons and sewed them on the outside of his shirts (he has always worn button-down shirts, never T-shirt or polos), so they look like they’re buttoned. He has a great sense of humor about it. . .
Who is your sounding board? Sterling? Your daughters? There has to be someone you vent to. . . .
Often it’s whoever is around at the moment! (smile) Of course, my sweetheart Sterling and my girls are my most frequent and trusted confidants, but I’ve been known to bend the ear of whoever will listen when a thought, idea, or suggestion strikes! Do all the stamps in the catalog have your stamp of approval? Are there some images that you personally don’t like but you include because marketing research indicates there’s a desire/need for those types of products? You’ve got it right! Not every stamp set is one that I personally like or will use (wouldn’t it be boring if they were!). We do have talented and experienced people who examine market trends and wants (and read our suggestion folder!) and make those decisions, and I trust them to make sure that we offer a diverse line that has something for everyone! One day I’ve love to see your scrapbooks . . . .
Did you hear me laugh? I’m so far behind, it’s not even funny! Someday I hope to get on top of my scrapbooking, but I’m not sure when. . .
Do you waterski or boat on Powell? What canyons have you visited? Do you fish? I personally boat, although most of the kids and Sterling ski and/or waveboard. In the last couple of years, I’ve had some major landings that bruised me enough that I hurt every time I coughed for weeks; it even hurt when Sterling gave me a hug! That’s just too high a price to pay, so I’ve decided that it’s not worth it for me personally. I love those hugs too much! We’ve been all over Powell, and we’ve visited several different canyons. I personally don’t fish (although I do eat fish), but we have some sons-in-law and grandchildren who do. When I was a little girl, I watched my brothers fish, and it would kill me to see the little fish squirm with a hook in its mouth. I’ve never really gotten over that. . .
Will convention ever change locations or dates (I like July much better than August)? It’s not in our plans right now to move the location from Salt Lake City, for many reasons; I’ll mention just a couple. First, because our costs (both staff and shipping) are lower, we can invest more in convention activities that have a direct positive effect on you. And second, when it’s so close, more staff are able to participate, come and meet our demonstrators, feel the energy, and (like our demonstrators) get re-energized and excited about a new year. We think that connection between demonstrators and staff is very meaningful and significant! As for the dates, personally I prefer July over August too! However, there are some demonstrators who like it in August because their July calendar is so full! It’s like everything, I guess—thousands of demonstrators have thousands of different preferences! There is a very large (HUGE!) outdoor show every year here in Salt Lake City that gets first dibs at the Salt Palace because they are so big! We have to work around them, but our first priority is always a convention date in July.